If you want to lose weight you have to make changes to the way you eat. An obvious point, but while there are all sorts of changes you could make, some will be more effective than others. Generally, eating a bit less is the best change you can make. You might cut out unnecessary snacking, reduce portion sizes or reduce your reliance on processed, calorie-dense foods. Recently though I’ve found that people are choosing to make other, smaller changes. Cutting out gluten, switching from cow’s milk to almond milk, eating more avocados, switching from white sugar to coconut nectar, buying organic meat, etc. Nothing too worrying there, but will any of those changes help with weight loss? Er, no. I blame the current obsession with “clean eating”, superfoods and the concept of “wellness”. Every day we’re bombarded with new marketing messages promoting the latest new way of eating, or the latest miracle ingredient or product. Take the Sirt Diet, which claims that by eating certain foods you can lose weight, because these foods stop fat cells replicating. It says on the cover you can lose 7lbs in 7 days. And how is that achieved? By going on a 1000-calorie-a-day plan. What do you think causes the weight loss? Restricted food or eating more kale?! And then, when you continue with the plan and start incorporating more Sirt foods into your diet, such as strawberries, walnuts and dark chocolate, don’t you think you’ll also be eating fewer desserts and crisps and less milk chocolate? It’s not the miracle foods which are causing the weight loss (if you are indeed losing weight after the first week’s crash diet), it’s the fact that you are cutting out other things. I reckon that people opt for these small changes and miracle ingredients to avoid dealing with the big issues. What’s easier? To ask for almond milk in your latte or to cut out the flapjack you buy with it? 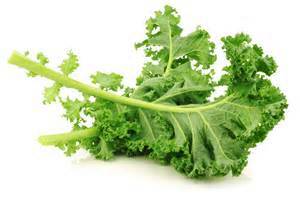 To add more kale to your plate or to cut your portion size? But unless you tackle the big issues, losing weight will be a struggle. So if you’re trying to lose weight, have a think about your goal. It will be easier to reach if you choose the most effective steps towards it. And there are advantages to tackling the big behavioural issues – when you’re eating less generally you may find that you don’t have to switch from foods you love to “cleaner” alternatives – you can keep some of the foods you love if you’re eating less of them, or less of the stuff you’re not that bothered about. A diet that is made up of 80% healthy food in appropriate portion sizes with a few treats built in is going to be far easier to maintain than a 100% “clean” diet made up of expensive ingredients. Have a think about that the next time you’re considering learning how to cook quinoa! ⇐ Why it’s OK to step on the scales!